Gold’s worst price run since 1999 continued as the abbreviated trading week got underway and unfolded in New York on Tuesday. The now three month-old downtrend in prices saw the yellow metal touch bid levels under the $1,550 mark during the Tuesday early afternoon hours as the euro finally caved under renewed selling pressure and flared-up eurozone anxieties and breached the pivotal $1.25 level. A late afternoon rebound brought the currency just one little notch above the one-and-a-quarter mark. The rebound lasted only as long as the next negative headline news item from the ECB however (see below). Currency strategists continue to assert that parity with the dollar is not very far for the euro. Rising angst about Spain’s capacity to reconfigure its badly wounded banking sector wreaked havoc with the country’s borrowing costs on Tuesday and contributed to the slide in the euro. A late afternoon news story relayed the fact that the ECB refused to accept Spain’s plan to recapitalize troubled bank Bankia SA with government bonds. A record drop in Spanish retail sales added more fuel to the growing fire of fear in the Old World. While Spain stole yesterday’s headlines, Greece and all of its troubles were far from having been forgotten. Thus, gold gave back its hard-fought, two-session gains achieved late last week, and futures closed down by over $17 while spot gold fell by as much as $28 at one point in the Tuesday session. As a result of a fresh downgrade of Spain’s credit rating the common currency fell to a fresh two-year nadir against the US currency, which, in turn, managed a further quarter-percent climb on the trade-weighted index to reach the 82.50 figure. The midweek session started off this morning with additional declines across the precious metals complex. Spot gold fell by over $6 to under the $1,550 level once again and it opened at $1,547 per ounce. Silver lost 20 cents to start off at $27.69 the ounce. Platinum recorded a $16 decline to the $1,408 mark on the bid-side. Palladium was off by $4 at $598 per ounce. Rhodium remained unchanged at $1,275 per ounce. In the background, the US dollar advanced once again, climbing by 0.15 to the 82.68 mark on the index. Crude oil fell sharply, losing nearly $1.25 per barrel. It was last quoted fifty cents under the $90 level. Despite recent price declines, there is somewhat encouraging news to report on the platinum market front. We noted in last week’s closing article about the supply demand paradigm in that niche and found promising glimpses of the market ahead. In yesterday’s news flow, our good friend, Bloomberg News’ London-based reporter Nicholas Larkin wrote that platinum’s price may (in technical terms) be on the brink of a bear market, but that it is finally receiving support from key supply/demand elements. Nicholas writes that "The metal’s 17 percent plunge to $1,436.50 since late February leaves it within 3 percentage points of the common definition of a bear market. 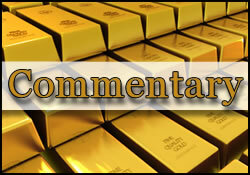 The slump pared this year’s gain to 2.5 percent, still beating the performance of gold, silver and palladium." So, where is the good news? Well, the noble metal’s mine supply has just recorded its first decline in four years, while record automobile sales are biting into the hitherto sizeable surplus that the market has experienced. Fully 90% of the former surplus in the platinum market is expected to be eliminated by the combination of those two pivotal factors and be reduced to but 37,000 ounces of an overhang in 2012. Meanwhile, the US dollar has been on a tear since it touched a significant low under 72.00 in July of 2011. The dollar index has risen 12% and is at a higher level currently than back when the Fed began injecting sizeable amounts of liquidity into the badly damaged system towards the end of 2008. That little metric is being consciously ignored by the greenback’s morticians –all of whom had promised us a quick yet painful demise of the buck along with a concurrent moonshot for gold. It turns out that when it comes to holding high quality assets, investors and institutions have a shrinking list of same to choose from. Chief among them however, is the "zombie" dollar that is supposed so debt-damaged that it is fit only for toilet paper duty. The US currency is being scooped up at rates that have made it relatively scarce of late as it is "blessed" with the backing of one of only five global economies whose credit-default swaps are seen as virtually "risk-free" in the world of debt trading. Bloomberg News reports that "demand for dollars is also showing up in financial institutions needing to meet Basel III regulations set by the Bank for International Settlements." Additional negative news for gold (on the physical front) came once again from India. The world’s largest source of gold offtake is seen as experiencing a 50% decline in gold imports for the current month and a notable 32.4% fall-off in its fiscal year 2011-2012 demand for the precious metal. Only 655 tonnes of bullion made their way into India during the aforementioned period, as opposed to a reported 969 tonnes last fiscal year. The first quarter of this year saw a 68% slump in gold imports. On the current quarter, the country’s gold offtake dropped by 29% to just under 208 tonnes. High domestic prices and an overt campaign by the Indian government aimed at discouraging investment into the alternative asset were being blamed by sources such as India’s Business Standard: "Union Finance Minister Pranab Mukherjee, while presenting the annual budget for 2012-13 in March, said gold imports should be restricted to control the swelling current account deficit. Following that, the Reserve Bank of India (RBI) tightened guidelines for gold loan companies. It has set up the K U B Rao Committee to examine the linkage between gold import and pledging of jewellery with gold loan companies like Muthoot Finance and Manappuram Finance that have witnessed enormous growth in the past few years." A couple of news items from the official sector –one confirmed, the other… to be determined. First, Russia‘s reported reserves of gold and FX dropped by $4.5 billion in the current month. Not an epic shift, but merely a perspective on the fact that central bank reserves can go in either direction, as opposed to what one might read in certain hard money publications with regularity. Second, it is now being estimated by Nomura Securities that China‘s foreign exchange reserve accumulation is peaking and that net outflows of same could commence in a couple of years. The above, of course, does raise certain questions about gold –again, going against the grain of what we might read in alarmist, Chinese conspiracy-touting newsletters, pretty much all of the time. If China went along with an overtly stated policy that aims to keep from 1.6 to 2 percent of reserves is gold, then the decline in reserves that might start by 2015 could result in the opposite of what we are told is about to happen "any second now" (i.e. "massive" Chinese central bank gold purchases and a wholesale abandonment of the dollar). Buying and/or selling some gold in order to maintain a targeted percentage of total reserves have always been the defining hallmarks of central bank activity as far as the yellow metal is concerned. It has never been a one-way street for everyone, all the time. Unfortunately, on another related front, trouble in the mining sector is not confined to the price of shares on various exchanges. Two deaths and 50 injuries have been reported in violent clashed against Xstrata PLC’s Cusco operation in Peru. The Peruvian government has declared a state of emergency in the wake of the protests that turned deadly. Market observers have concluded that albeit the anti-mining actions are politically-flavored, the uncertainties they have engendered "will cause investors to think twice before investing in mining districts that have a history of social discontent." Meanwhile, apparently, some commodities-oriented speculators continued to suffer from a persistent case of premature optimism as they placed bets on "stuff" that turned quite sour in the aftermath of the European credit maelstrom and amid increasing signs that China is having some difficulties averting a jarring runway incident, economically speaking. While money managers augmented long positions in 18 different futures contracts in the reporting week that ended on May 23nd, the same could not be said about the precious metals’ niche. From that space, it was reported that investors pulled more than $630 million last week – that’s an exit that has now been labeled as "the biggest of this year." Net spec length for gold shorts rose by 10.8 tonnes and overshadowed the gains in long-gold positions. Standard Bank (SA) analysts point to the shedding of an additional 10.4 tonnes of gold from ETFs as further evidence that confidence in gold has not yet made a return. The overall outflow from commodity funds totaled $1.18 billion on the reporting period. Then again, that is the nature (and price) of gambling. The stakes, however, are sometimes a tad… larger than half a billion here, or a billion there. Sometimes, the fate of economies and/or currencies hangs in the balance on the throw of a die. And now, it is do or… die. The bets are all in, good or bad. Rien Ne Va Plus. Fourteen years ago, The Economist published a piece entitled "Gambling on the euro" The subtitle explained that "Europe’s monetary union is neither bound to succeed nor doomed to fail. Leadership, circumstances and luck will combine to decide its fate." "The euro zone is not what economists call an "optimum currency area" — that is, it is not a region whose constituent parts are affected in broadly the same way by typical economic disturbances, or among whose constituent parts labour moves freely. If it were, then no economic purpose would be served by retaining sub-European currencies. Admittedly, few if any national economies meet that ideal standard: regions within the United States often suffer asymmetric shocks because of local concentrations of particular industries, and although American labour migrates comparatively smoothly from one state to another, these shifts are by no means costless. The point, though, is that the euro zone is very much further from being an optimum currency area than is the United States. Disparities in relative prices (after allowing for exchange-rate fluctuations) are greater among the euro-11 than among American states; and the mobility of labour within Europe is, according to one study, only one-third of the mobility of labour within America. One perverse consequence of the euro may be that, precisely because it encourages closer integration, it will also promote greater local specialization — increasing the chance of asymmetric shocks from that source. In sum, for many years to come, persistent national divergences in growth and unemployment are likely to recur from time to time. If EMU can overcome the flaws of its design and prove an economic success after all, Europe’s governments (and, preferably, their citizens as well) will be able to weigh the coming political choices on their merits. If it fails in economic terms, those political choices may be severely constrained — and, as a result, far more divisive. Closer political integration built on the solid foundation of an EMU that worked would be one thing. The same course adopted in distress to save EMU from failure, or even outright collapse, would be an entirely different, and much more dangerous, enterprise." As we go to print, it is hard to gloss over the little news item that may have gotten lost in the thick smoke of this weekend’s fired-up-in-unison barbecues: "Switzerland draws up eurozone collapse action plan" Ponder it we must. The franc has been as much in demand as the dollar and the SNB is worried about that to the point that it might enact capital flow controls (inward ones that is). We must however, also ask just where the demand for that "other currency" that gold is purported to be, has been. These are the very conditions during which investors are supposed to flee the illusory comfort of paper in favor of the time-honoured shelter that only precious metal can provide. Thus, the question: If not now, then when?